San Francisco, California - (January 15th, 2014) - Fiilex announces the V70, a color tunable LED task light, for image making professionals. 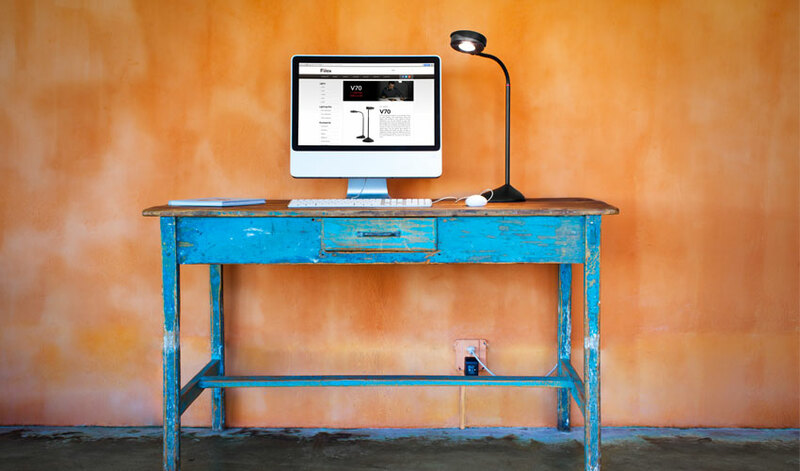 The V70 is a multi-purpose LED desktop lamp that features multiple color temperatures, over 90 Color Rendering Index (CRI), and an ergonomically designed touch control pad. 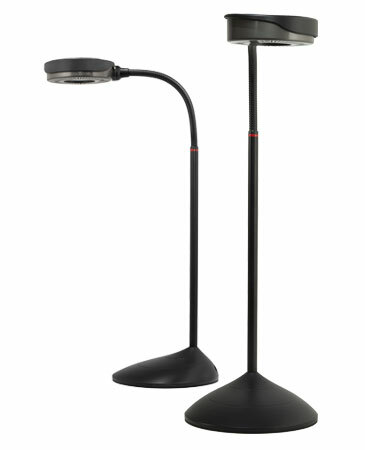 This product is a great tool for individuals who demand high quality lighting for their daily work. For industry leading performance, the V70 is engineered with the latest multi-chip Dense Matrix LED technology. This 13W penny-sized platform delivers light as a specular source, illuminates with great intensity, and projects with crisp shadows. A unique spectral recipe smoothly blends this multi-wavelength cluster into emitting light at 3 different color settings: warm, soft warm, and cool. CRI is above 90 for all ranges. Designed for function and aesthetics, the V70 is a practical tool with a modern appeal. The low profile head has a circular shape and radiant vent patterns, both signify symmetrical balance and sun-like luminescence. A distinct gooseneck connects the lamp head with the stand in an elegant curve and provides great flexibility for directing the light to the desired spot. An intuitive touch control is embedded in the base and interacts with users for adjusting lighting to the perfect condition for the work environment. With ease of operation and clean design, V70 fits seamlessly into anyone's workflow. "The V70 is our vision of a professional tabletop task light for various image making applications such as print viewing, video blogging, makeup applications, video conferencing, etc." Says Brent Siebenaler, Brand Manager of Fiilex. "It is created with the same full spectrum light that every Fiilex product entails and we intend to bring quality lighting to many more aspects of life through this product." The magnetically attached Fiilex Dome Diffuser can mount easily onto the V70 for changing the illumination from a specular hard source to a diffused soft light. During the initial launch period, each V70 is shipped with a free dome diffuser. The V70 is listed at $195 (US) and delivery starts at the end of January 2014.